His strong fingers lightly caressed her delicate hand as she demurely released the cup from her grasp. He paused a minute. His eyes danced as he searched her effervescent face. She smiled coyly and said, “Thank you.” He winked at the charming young Barista, then gently pressed his business card into the palm of her hand, and left the coffee house with a swaggering gait and a heart filled with excitement about the possibilities. I don’t know if the two star-crossed admirers knew I was watching their exchange as I sat in the coffee house pretending to read the newspaper. They were totally oblivious to me or anyone else around them. It was refreshing to witness the flame of intrigue spontaneously ignite, that thing that happens when attraction and fascination collide in an instant. It was enchanting and made me hearken back to some of my most memorable, chance encounters. This is an excerpt from one of my most read columns, “The Undeniable Reaction to Attraction,” published in February 10, 2011 in my formerly syndicated column called Veronica’s View. I rarely wrote about love and its virtues because my foray into love has had its challenges. But around Valentine’s Day my heart would be filled with altruism and I would cobble together a story about love. With Valentine’s Day approaching, my thoughts are once again turned towards love. And in honor of this day to underscore love, I wanted to not only share that brief story of a chance encounter between two strangers, I also wanted to share one of my fast and favorite Red Velvet Cupcake recipes to share with those who warm your heart. The ingredients are simple and it’s really fuss-free and easy. Although the cupcakes are not made from scratch, with one bite you can taste the love. The sour cream and almond extract gives it that authentic taste. I love the mini chocolate chips in the batter. They are a nice surprise and make this moist little cupcake special. The sprinkle of crushed peppermint gives this traditional recipe a bit of a twist. For this recipe, I don’t use cupcake liners. I want the decadent dessert to resemble little frosted cakes. 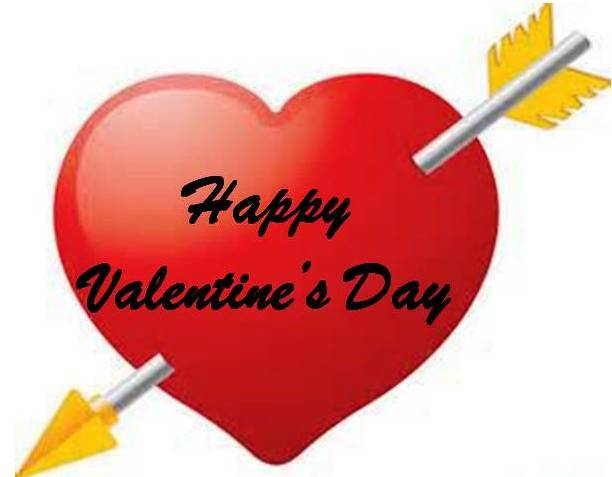 Happy Valentine’s Day and may the love and warmth of family, friends and that special someone surround you always. Preheat the oven to 350 degrees Fahrenheit (325 degrees Fahrenheit for my electric oven). 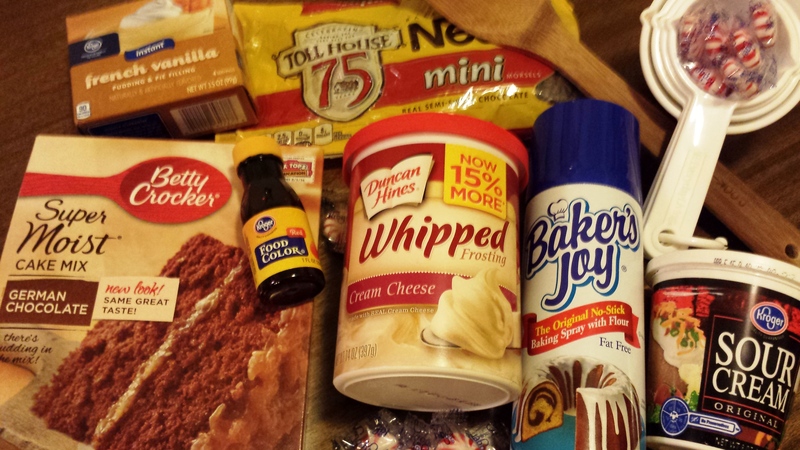 Line cupcake pan with paper liners or spray cupcake pan with Baker’s Joy Non-Stick Baking Spray. In a mixing bowl add cake mix, pudding mix, sour cream, water, oil, food coloring, almond extract and eggs. Mix well. Then blend mixture with an electric mixer on low speed for 2 minutes. Fold in the mini chocolate chips. Spoon or scoop ¼ cup of batter into each cupcake cup. Do not use more than ¼ cup because the batter rises quite a bit. Place the filled cupcake pan in the oven. Bake the cupcakes 15 to 18 minutes or until they spring back when lightly pressed with your finger. Remove the pan from the oven and let stand 15 minutes. Run a butter knife around the edges of the cupcakes or liners and lift the cupcakes up from the bottom of the pan and pick them out of the cups carefully with your fingertips. Place them on a wire rack to cool for 15 minutes before frosting. Frost the cupcakes with cream cheese frosting. Crush peppermint candy in a plastic zip top bag with a mallet, rolling pen or large coffee cup. 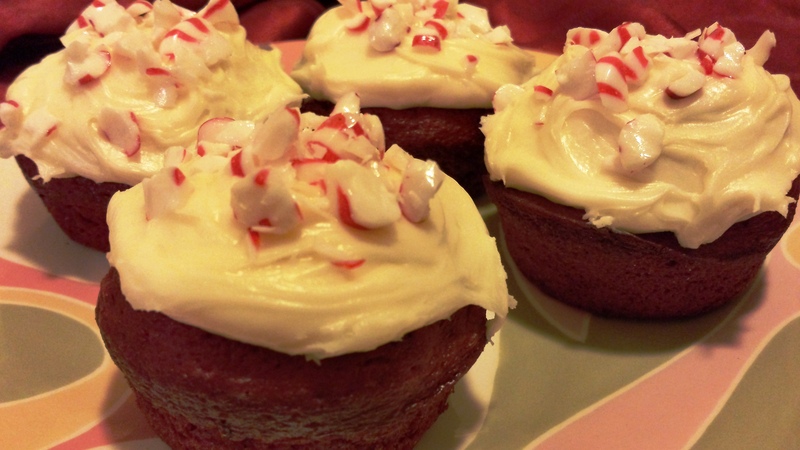 Top the cupcakes with crushed peppermint candy pieces. Store in refrigerator if not served immediately. This recipe makes between 24 and 26 cupcakes. In a large bowl, beat together the butter and cream cheese with an electric mixer on low speed or by hand. Blend in the powdered sugar, a cup at a time, until smooth and creamy. Stir in the vanilla extract. Resume mixing with electric mixer or by hand until frosting is smooth. This entry was posted in Foodies and tagged Attraction, Baker’s Joy No Stick Baking Spray, Barista, Be my valentine, Café Americano, caviar, Chocolate, Chocolate chip, Coffee, Coffee house, collard greens, Cream cheese, Cream cheese frosting, Cupcakes, Cupid, German chocolate cake, heart, Kroger, Love, Mini chocolate chips, Peppermint, Peppermint candy, Ralphs, Red Velvet, Red Velvet cupcakes, semisweet chocolate chips, valentine, Valentine’s Day, vanilla instant pudding. Bookmark the permalink.